This cream cleanser is just gorgeous. I've mentioned it in my Spring Skincare post but when a product is this good, it can't be talked about enough! It's super gentle get effective and I love the great ingredients and ethics followed by the brand. Shop Sukin Cream Cleanser here. The brilliance of the cleanser fuelled me to pick up Sukin's Rose Hip day cream. Full of antioxidants it's light in texture yet extremely moisturising. It smells similarly sweet and herbal as the cleanser and I use this day or night. Sukin have a great philopsophy and their products are great. You can find out more at Sukin Organics. Shop Sukin Rose Hip Hydrating Day Cream here. The Jeffrey James serums are wonderful. They include an endless list of antioxidants, botanicals, natural extracts and hydrators to protect, hydrate and treat the skin. The serums have a light consistency and seep straight away into the skin, so dreamy. Shop Jeffrey James The Firm here and The Serum here. Jeffrey James' moisturiser The Creme is my final favourite. This moisturiser is lovely and thick and nurturing, I love to slather it on at night like a thick, facial carpet. 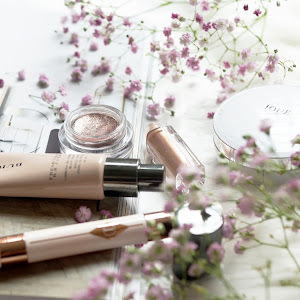 Saying that, it doesn't feel in the slightest greasy or heavy and makes a great base for makeup. Take a look at some of the active ingredients, it's a real powerhouse. Ingredients: Organic Herbal Blend, Organic Aloe, Sunflower, Glycolic Acid, Coconut oil, Cocoa Butter, MSM, Vits C, E and B5, Cucumber, Grape, Kiwi, Apple, Strawberry, Royal Jelly, Propolis, Jojoba, Avocado, CoEnzyme Q10, Green Tea, Lemongrass, Flaxseed, Evening Primrose, Rosehip, Macadamia, and I haven't even listed them all..
Shop Jeffrey James The Creme here. I've been rotating through these products and they've really helped to improve and maintain the quality of my skin, what do you guys think?! 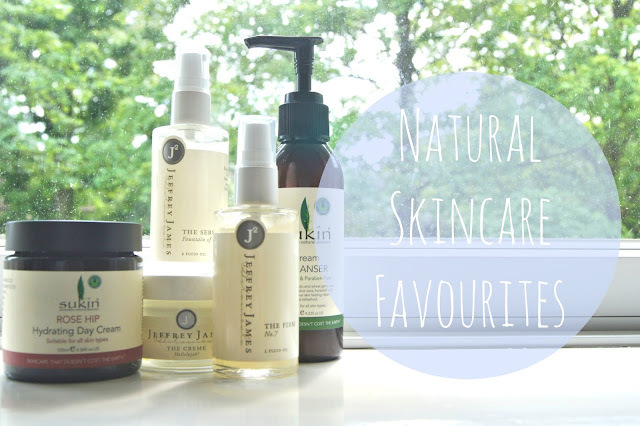 What are your natural skincare favourites?? ?